Tart cranberries speckle this pie and pair with the sweet apples to make a beautifully balanced dessert. Not only does the addition or cranberries make this pie picturesque but it really does add so much flavor. 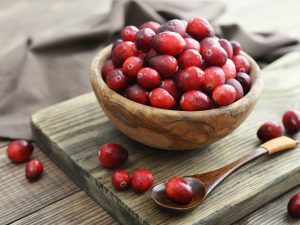 Cranberries and apples tend to ripen around the same time of the year so look for good, fresh cranberries and crisp apples that are good for baking such as honeycrisp, jonagold or granny smith. 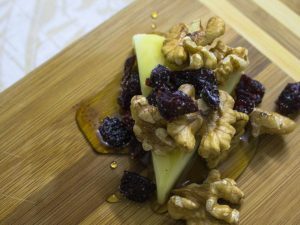 You can also try adding some pears in this recipe in place of apples for another wonderful flavor addition. In a mixer with a paddle attachment or in a medium bowl by hand, mix the 3 3/4 cups flour, butter and salt until small crumbles form. In a large bowl, toss together the apple slices, cranberries, sugar, flour, brown sugar, cinnamon and nutmeg. Once the mixture is nicely combined and the apples pieces are coated in the dry ingredients, pour the filling into the pie crust. In a small bowl, whisk together the egg and milk and then use the egg wash to brush the top of the pie. Bake the pie in a 350 ̊F oven for about 1 hour or until the filling begins to bubble and the top crust is golden brown. 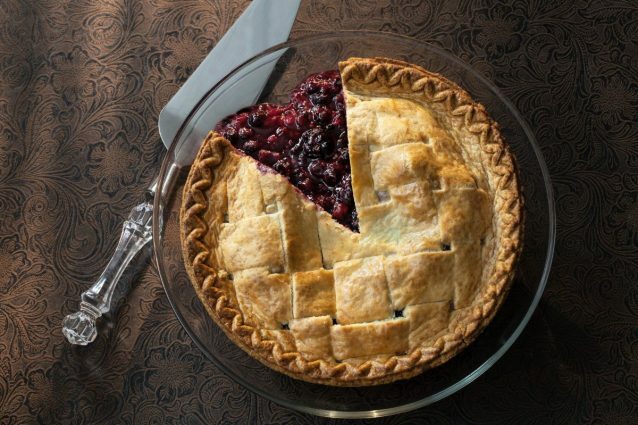 -If you prefer to make a lattice top rather than a full crust top for this pie, that will also be beautiful and show off some of the nice red cranberries in the pie. -Cranberry apple pie is delicious when served warm with ice cream or when cold as a fruity breakfast treat.